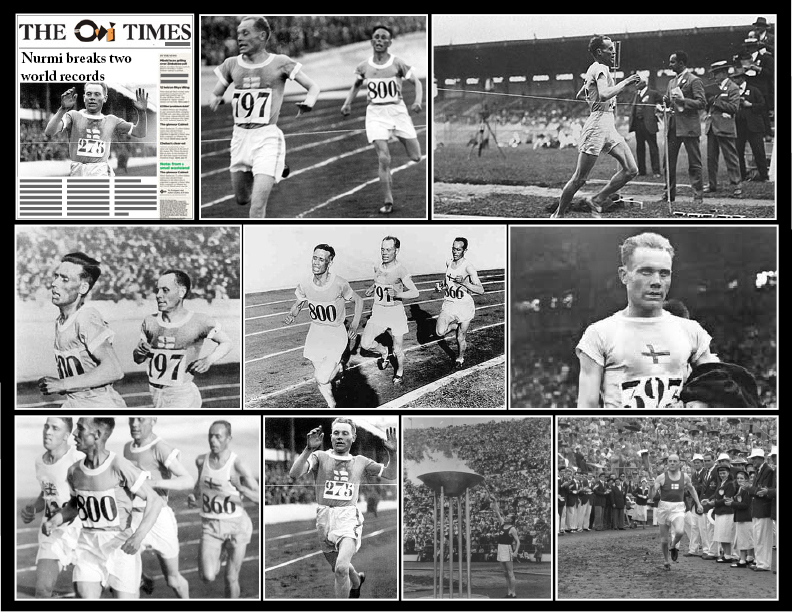 January 6th 1925; Finnish long-distance runner Paavo Nurmi steps up to the starting line in New York's Madison Square Garden in his first U.S. appearance. Anticipation for the moment had been building steadily since Nurmi's arrival in America four weeks before, and it was standing room only at the Garden when he emerged out of the cigar smoke to run his first race. Known as the "Flying Finn," Nurmi was regarded as the greatest runner of his day. At the 1924 Olympics in Paris, he won five gold medals, including two Olympic-record runs in the space of an hour on July 10. He often ran with a stopwatch in his hand to pace himself, an innovation he developed. Although the technique was not widely imitated, it was not until 1931 that a runner broke the outdoor-mile world record, which Nurmi set using this strategy.